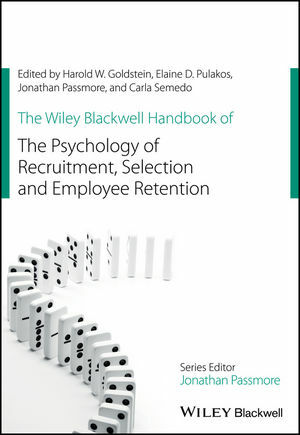 This handbook makes a unique contribution to the fields of organizational psychology and human resource management by providing comprehensive coverage of the contemporary field of employee recruitment, selection and retention. It provides critical reviews of key topics such as job analysis, technology and social media in recruitment, diversity, assessment methods and talent management, drawing on the work of leading thinkers including Melinda Blackman, Nancy Tippins, Adrian Furnham and Binna Kandola. The contributors are drawn from diverse backgrounds and a wide range of countries, giving the volume a truly international feel and perspective. Together, they share important new work which is being undertaken around the globe but is not always easily accessible to real-world practitioners and students. Harold W. Goldstein is Associate Professor of Industrial/Organizational Psychology at Baruch College, the City University of New York, USA. He has previously held teaching positions in the psychology departments at Bowling Green State University and New York University. His primary areas of expertise are in personnel staffing and equal employment opportunity issues, leadership development, and organizational culture. Elaine D. Pulakos is President of PDRI and an internationally recognized contributor to the field of industrial and organizational psychology. In 2010 she received the Distinguished Professional Contributions Award from SIOP, where she has also served as President. She has published numerous articles on performance management, staffing and human resources best practices, and is the author of three books including Performance Management (2009). Jonathan Passmore is Professor of Psychology at the University of Évora, Portugal, Managing Director of Embrion, a psychology consulting company, and one of the UK's foremost leadership coaches with a wealth of private sector and academic experience. His prolific research, writing, consultancy and speaking have made him a recognized authority on coaching and organizational change. His many books include Excellence in Coaching (2006). Carla Sofia Carrilho Lopes Santarém Semedo is Assistant Professor in the Department of Psychology at the University of Évora, Portugal, where she leads on occupational health psychology. She is responsible for teaching psychology at undergraduate, masters, and doctoral level, and for coordinating the occupational health psychology research line. She also works as a consultant in evaluation and intervention in organizational psychology.